What is a bagatelle? Is it a fancy pasta shape traditionally served in a light béarnaise sauce? A hearty Italian bread served alongside a cheeseboard? Actually, it’s neither of those things, though you’re welcome to go and invent either when you’re done reading this article (please send me the recipe if you do). No, it turns out a bagatelle is anything of little value or substance—a trifle (sorry, not the kind with custard and ladyfingers). As best we can tell, in 1717, François Couperin (1668-1733) was the first composer to apply the term to musical ideas. When given that title, we’re left to believe a piece is something the composer came up with while just playing around, not really putting great effort or thought into it. This is certainly the case with Peter Schickele’s Seven Bagatelles for woodwind quartet (flute, oboe, clarinet, & bassoon). While the rhythms and isolated lines are not overly complicated, the seemingly abstract harmonies and characters packed underneath each vague but evocative title are no trifling matter. 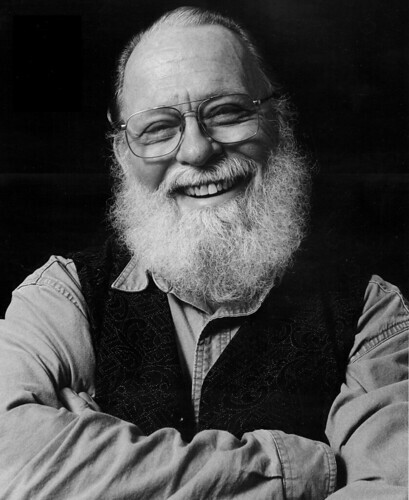 Most concertgoers know the music of Peter Schickele (b. 1935) thanks, in part, to his alter alias PDQ Bach. Though much of Schickele’s output is peppered with satire and humor, the true heart of his work has always been serious Classical music (truth: he resists describing any music as “serious”). Because they’re short and intriguing, Shickele’s wildcard collection of musical vignettes sprang immediately to mind when I set about selecting repertoire for our Spring 2019 concert, Found Objects. As I began researching the selections on the program, I was surprised to discover virtually nothing had been written about this work. At the top left of most sheet music, tempo indications are printed which prescribe both the speed and the mood a musician should emulate throughout the piece (e.g., Allegro literally means lively in Italian). The movements in this collection contain no musical instructions at all other than occasional articulations and dynamic suggestions; cold, numerical metronome settings provide the tempos. There are no program notes; no backstory is provided on any page. It’s as though the composer expects us to draw our own conclusions about the meaning of the titles and how they relate to the music that follows. Each movement begins with no introduction and promptly ends before it’s really had a chance to take off; many of the endings sound less than final. In short, Schickele seems to have made every effort to be vague, leaving almost everything to our imagination. While it is at times sparse and perhaps playfully obtuse, I never once considered this music “trifling”. 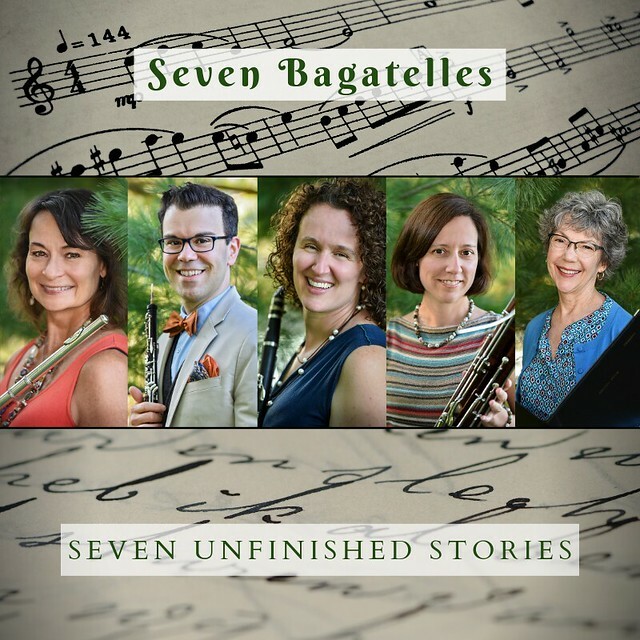 Almost immediately, I came to see these bagatelles as a collection of unfinished musical short stories with vastly different settings and characters, united only by their having been gathered into a single work written by a single composer. As a creative exercise, I decided to turn each of Schickele’s bagatelles into a writing prompt—composing a literary interpretation for each musical short story. As an accompaniment to our quartet’s performance of Seven Bagatelles, our reader, Jan Ross, will perform my Seven Unfinished Stories between movements. Like each movement of the music, each story drops us into a different setting amid the saga of completely unrelated characters, either at the beginning, middle, or end of their story. The stories are “unfinished” because they conclude with a cliff-hanger, a lingering question, or they’re a full scene but clearly not the end of the story. We hope you’ll join us Saturday, May 11th, 2019, for Found Objects: a concert about finding beauty and meaning amid the seemingly serendipitous. Together, we’ll explore these seven musical scenes and others we’ve found along the way.